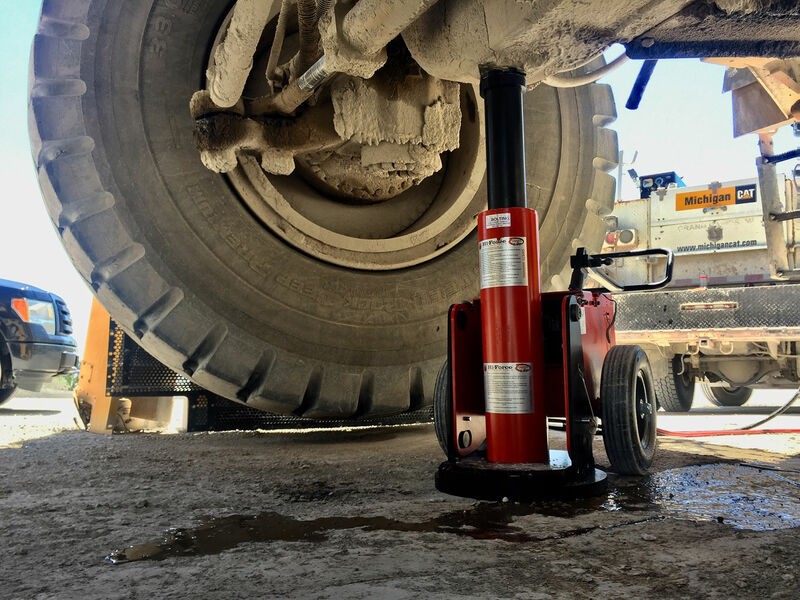 Widely used in the earth moving, mining and railway industries with a lifting capacity of up to 200 tonnes, Hi-Force's ToughLift jacking system offers a safe and efficient method of lifting haulers and locomotives. All models are available with either a 110 or 240 volt single phase electric driven pump unit, or a 6 Bar compressed air driven pump. The ToughLift jacking system has a 6 meter long control cable and the remote, push button pendant controller ensures the operator remains a safe distance from the working unit.